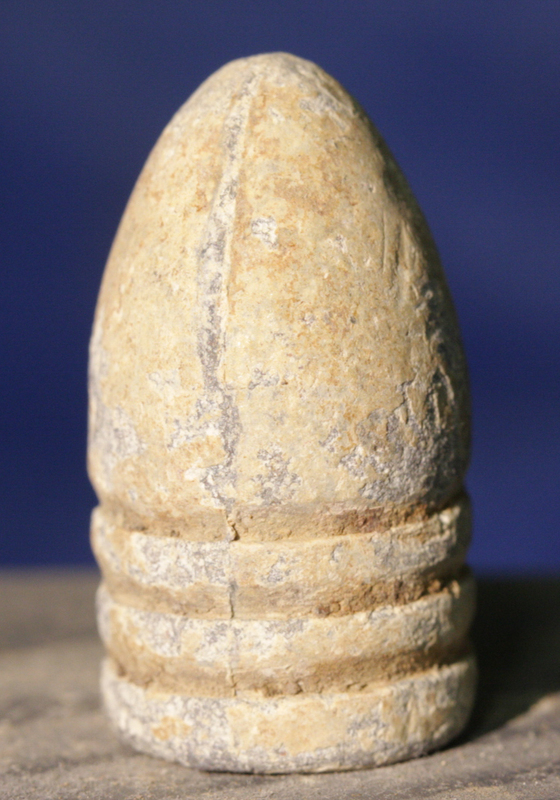 This dropped .58 caliber bullet was once part of the famous Rosensteel Collection of Gettysburg. 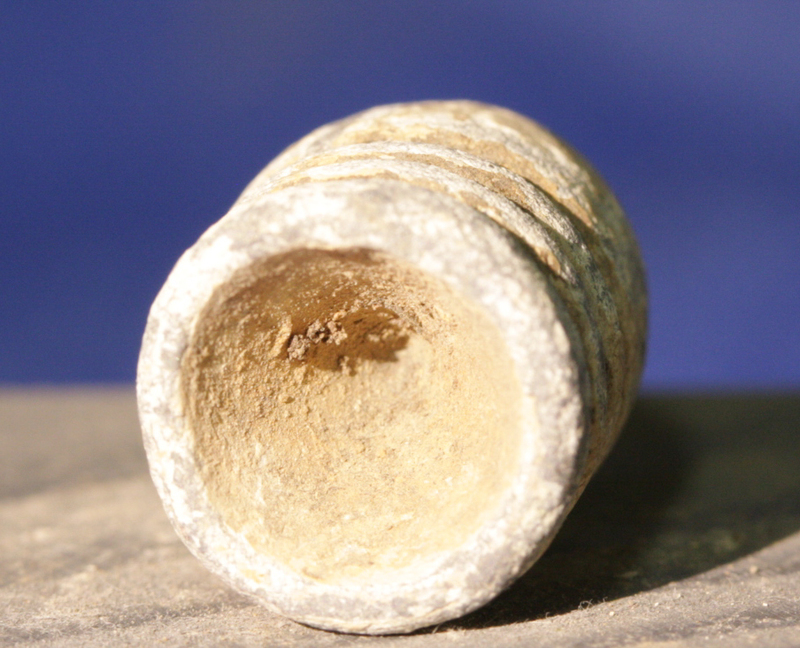 This specific relic was identified as having been found on the Johns Farm. The Johns Farm was not established until after the battle, but the house in barn appear in the famous Cyclorama painting of Pickett's Charge because they had been built by the time the artist prepared to pain the scene in the 1880s. The farm bordered Long Lane and the house, which still stands, sits on the block immediately east of Steinwehr Avenue. The Colt Park neighborhood now sits on the land once owned by the Johns. Not only was the farm bordered by the Confederate lines on Long Lane putting it between the two opposing armies on July 2nd and 3rd, but there seems to be no doubt that Pickett's Charge would have affected it as well. 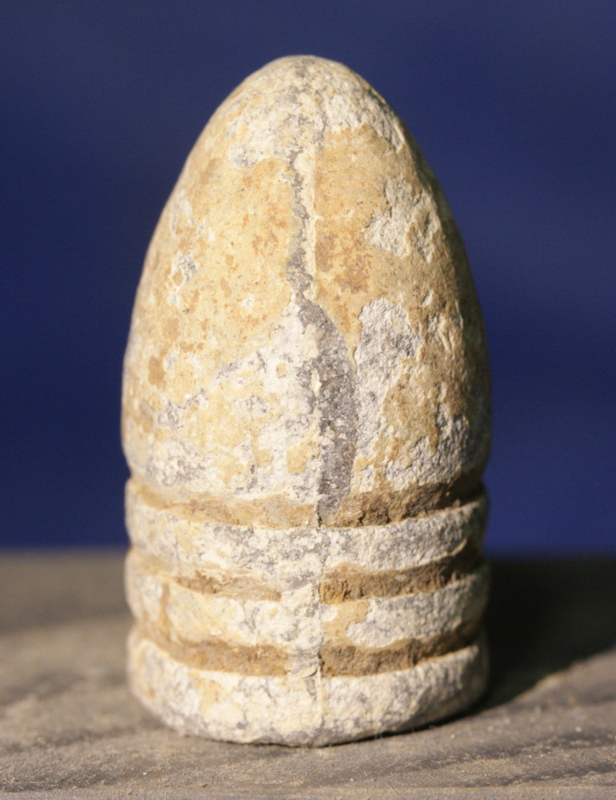 This bullet was recovered by the Sanders Brothers, who lived on the farm between the 1920s and 1950s. The Rosensteel Collection is arguably the most famous collection of Gettysburg relics that has ever existed. John Rosensteel opened his Round Top Museum of Gettysburg artifacts in 1888. A provenance letter will be included.